João has been since July 2015, the CEO at Semapa – Sociedade de Investimento e Gestão, SGPS, S.A.. Previously, João has worked at McKinsey & Company as Partner and Director of the Iberia Office where he led the Lisbon Office and later moving to Madrid. 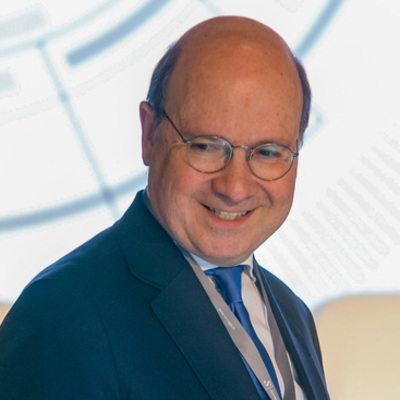 He joined McKinsey in 1991 and developed his activity in a number of different industries, including financial services (banking and insurance) and natural resource industries, where he has served some of the leading institutions, both in Portugal and in Spain. He also worked in these and other sectors in Europe, Latin America and the United States. He was core leader of the McKinsey Banking and Securities Practice, as well as the Insurance Practice, where he led Corporate Finance. He also led key institutional efforts at McKinsey Iberia on country competitiveness, productivity and innovation, both in Portugal and in Spain. Prior to joining McKinsey, João worked in France at the Investigation and Development Center of a large motor car manufacturer, and in Portugal for an international computer company. João is also Vice-Chairman of the Board at The Navigator Company and Secil since 2015.